Tranciatura metalli e costruzione stampi | T.m.g. S.r.l. We are specialized into stamping, deep drawing, welding, clinching, and punching of all the metal raw materials. 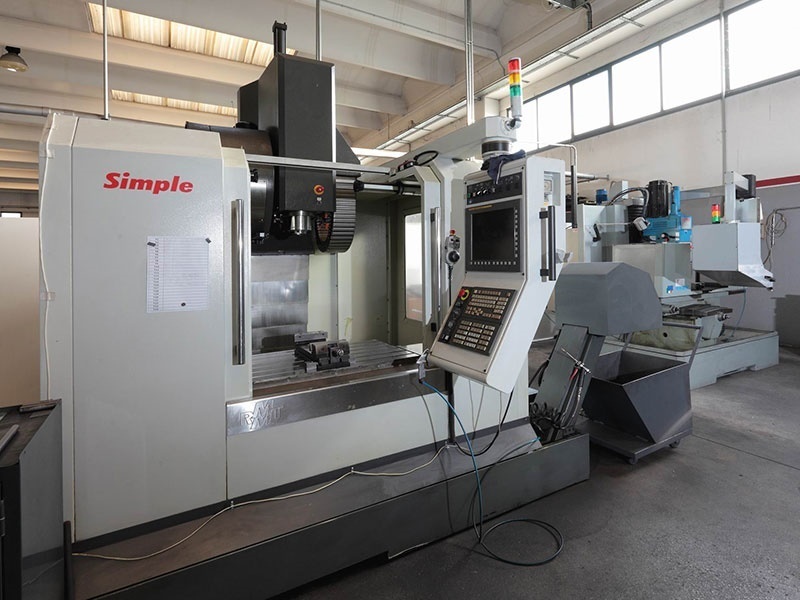 We can also make the design and the tooling construction for small and big dimension tools. We started working in 1978 and we growth up quantities and quality of our machineries in order to satisfy the requirements of our customers. 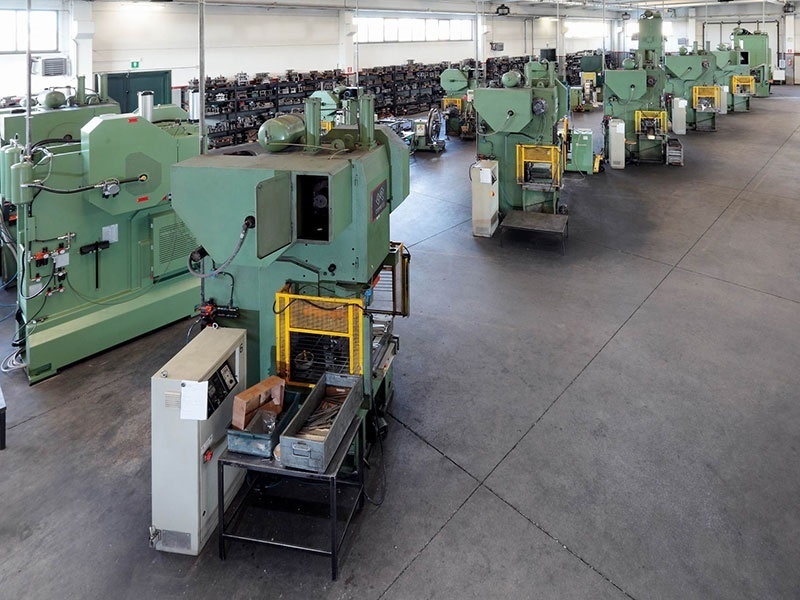 Our large press machine park, quite recent, have a power from 40 to 315 tons. We guarantee productions with a high level quality, taking care to the details, aesthetic profiles, washing and cleaning of all stamped pieces. 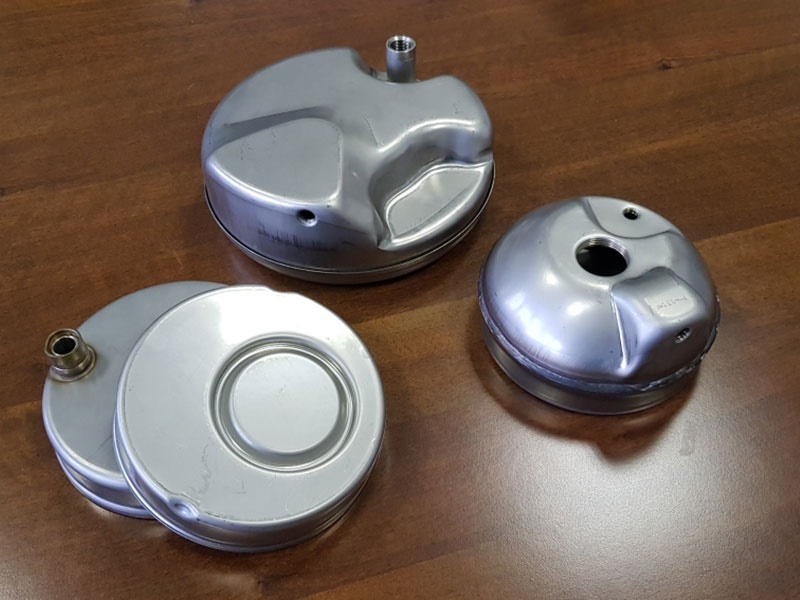 We make a carefully control on the quality of the incoming materials and on all our processes. Our core business is lighting, warming elements and domestic appliances. We are certificate ISO 9001:2015 by TUV Italia. 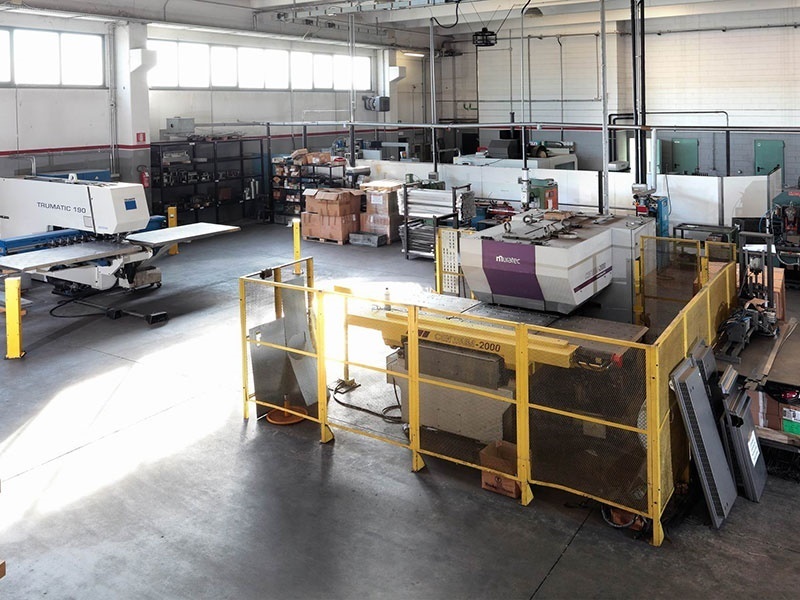 We are able to stamp with tools maximum dimensions 1000x1200 mm., blank and progressive, for every kind of production with medium dimensions, small parts and fasteners. Our machineries, equipped with die cushion, are able to make deep drawn and complex folds. The hydraulic press, together with the experience of our qualified employees, permit us to realize products using all the metal raw material like aluminum, brass, copper, stainless steel, raw or pre-galvanized iron. 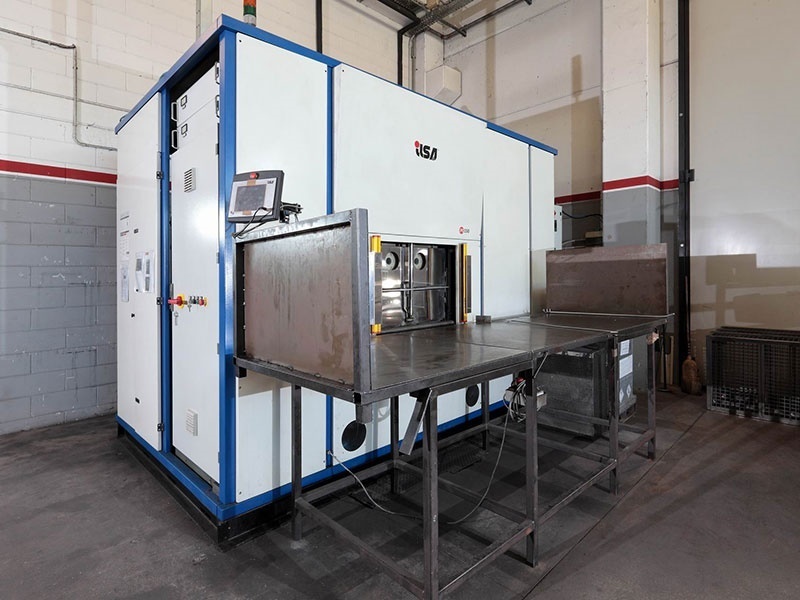 We have several projection welders from 20/50/70/100 KW, able to weld stainless steel and pre-galvanized iron. We have also TIG welders. 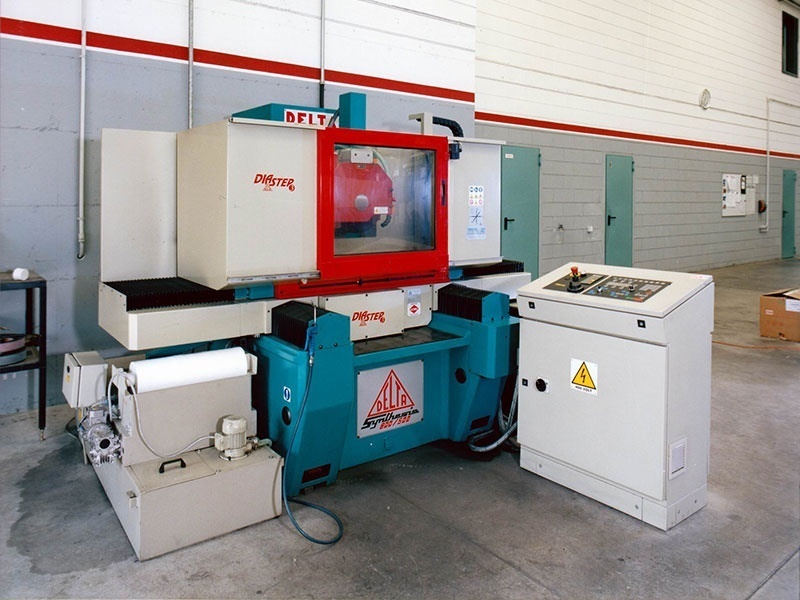 We have two punching machines and three bending machines, utilized in alternative to the tools, for small series or productions with frequent modification. 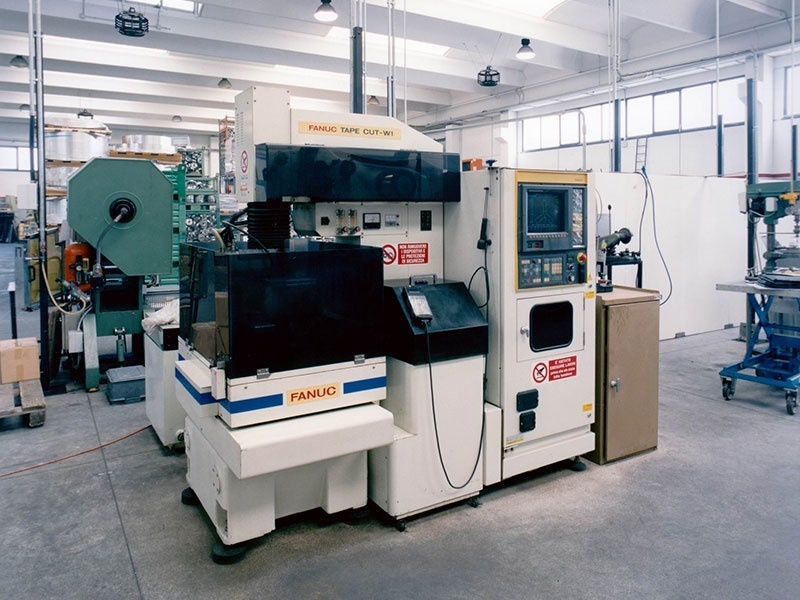 If required, together with the stamping process, we are able to supply the design and the construction of the tools. They could be blanking tools or progressive tools, and they’re supplied with our guarantee of long life and productivity. 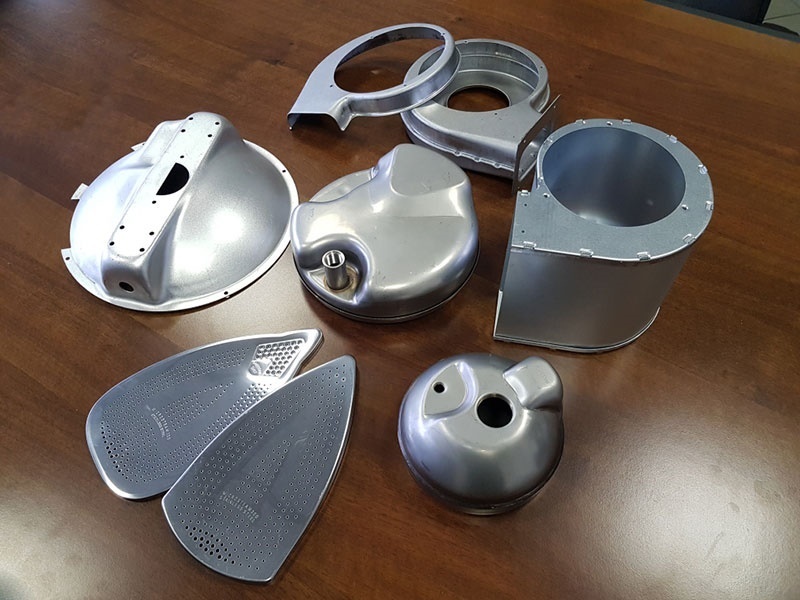 In cooperation with our qualified suppliers, we can supply pieces treated with galvanization, painting, chromium plating, anodizing, and thermic treatment. With our trucks we can guarantee fast deliveries in close areas. For long distances, we cooperate with a precise and fast forwarder. Mechanic press T 315 D.M.